More and more businesses are choosing to treat their valued employees to a corporate event. Why not have it at Pinehaven Farm and Fall Festival. With its beautiful setting, lively entertainment, and festive foods, Pinehaven is the ideal setting for your next company event. 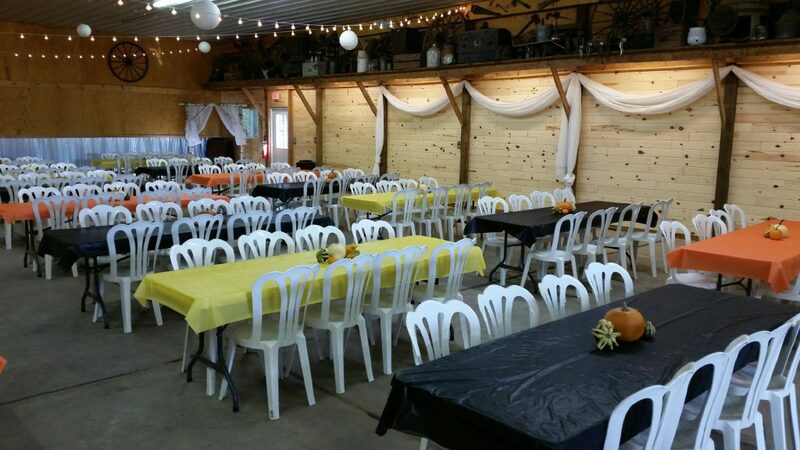 We offer beautiful indoor and outdoor areas that can hold anywhere from 25-500 guests. We can bring your group on a trolley ride around the farm or get a cozy bonfire started, perfect for roasting marshmellows and hotdogs. We know family is important so why not bring the kiddos to play on our endless play grounds, Jumbo Jumping Pillow, mazes, and Skyhigh Slides! Give us a call or shoot us an email to set up a completely customizable corporate event!